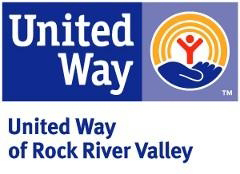 The Rockford Area Case Management Initiative (RACM) provides a community-wide approach to deliver individualized, strength-based, and person-centered support services that helps participants achieve specific, self-defined outcomes leading to self-sufficiency. RACM was developed by a planning team of local nonprofits and is given ongoing strategic support by a Steering Committee whose members hail from over a dozen local human service organizations. In June 2017 the first large-group RACM training opportunity was held, featuring nationally-recognized case management expert Dr. Beverly Ford. Nearly 120 case managers from over 40 organizations participated in two full days of training, and twelve local case managers and supervisors received an additional day of training in order to prepare them as a team of local trainers. This team will provide ongoing large-group foundational training and has prepared topical training modules. RACM was made possible by a grant from the Community Foundation of Northern Illinois. Empower People for Change: Making Case Management Work focuses on the foundation principles of Dr. Beverly Ford’s person-centered, outcome-based case management journey to self-sufficiency. The training will change the way you deliver case management by actively engaging participants in setting and achieving THEIR goals. This approach focuses on strengths and moves away from “doing for” participants what they can and should do for themselves. Participants become the lead partner and you are the backup partner. Participants become responsible for change because ultimately they are the only ones who can decide to make change happen. Case Managers and Supervisors (or the front-line staff with the relevant job duties at your organization, regardless of title) are encouraged to attend; organizations sending more than 4 staff members only pay for the first 4 ($80 max/organization). Certificate of Completion for attendance will be awarded, and CEUs for social workers are available. The next large-group training of 2018 will be held in early fall 2018. Check back for updates! Quarterly events will be held to increase knowledge on specialized topics, share information and best practices for the field of case management in general, and provide an opportunity for networking among local case managers. December 12, 2018. Featured Topic: Services for People with Disabilities. Topical training modules will be presented by trainers who are (or have been) case managers themselves and who have received in-depth instruction from case management expert Dr. Beverly Ford. Select from one or more of the following sessions and a trainer will work with a group of case managers at your organization to develop specific skills. This module serves as the introduction on how utilizing Making Case Management Work – Empowering People for Change can influence participants to take the journey toward self-sufficiency and achieving their goals. As a Case Manager your strategies should actively promote self-sufficiency. Self-sufficiency means you want participants to take more ownership and responsibility for their lives. Gain the skills explored in this module because, you cannot just hope self- sufficiency will happen! During this training module participants will learn the philosophy and process of Case Management as developed by Dr. Beverly Ford, which aims to encourage greater self-sufficiency. The training will introduce participants to the major tasks, strategies, techniques and resources case managers can utilize to empower participants to prepare for and manage change. The training will also address the qualities of an effective case manager. The module will provide a basic overview of case management skills and techniques which will be further developed during future trainings. The process of assessment is done with Participants, not for them. Participants need a clear picture of where they are to determine how to make change happen. Acquire how to navigate your clients “Now” so that you can influence them to change. Arranging Resources: Who Can Help? Together, you’ve identified the participant’s motivators, completed the assessment process, and built a plan; this module will help you to identify and arrange resources from both the Participant and the Case Manager to support the participant’s plan, and strengthen their motivation to move towards self-sufficiency. You will continue to build a partnership while learning to efficiently and effectively utilize the resources the participant brings to the table, and the resources available to you, the Case Manager. This module explore strategies for applying principles of Case Management with specific populations. These include mandated participants, dislocated workers, at risk youth, refugees and older workers. Effective Case Managers have a “bag of tricks”, a broad range of skills and strategies they can use to apply the process to the particular population they serve. Planning: Where do we Go from Here? During this module case managers will learn the strategies they can employ to engage participants in the planning process and build personal ownership and commitment. This training will explain how to help your participants organize and structure their plans and how to use questions to encourage thinking, decision making and action. Learn how to engage your participants in planning for roadblocks. Gain skills to manage problems including participant inaction, excuses or limited time and resources. Active Listening is a skill, maybe even an art. In order to build a rapport and a partnership with participants, it is important that we do not just hear what they are saying, but that we are listening to understand. This workshop with teach case managers how to actively listen to their participants so that they can understand how the world looks from their participants point of view. This module focuses on the change process and how case managers can help facilitate change within our participants. We discuss motivation and tools for finding a participants motivation and utilizing that motivation in the change process. This module explores the different way we ask questions and how they influence the way someone sees themselves, how they act and the knowledge you gain. It provides suggestions on when to ask “Yes” and “No” questions, how to reword the questions you ask to get the participant thinking, and when it might be good to just listen. Learning and developing these skills assist us in moving the participant to greater independence. Participants display behaviors (i.e. profanity, inappropriate dress, tardiness, lack of follow through, etc.) you believe could keep them from reaching their goals and outcomes of the program. Learn to use confrontation as a tool to make participants aware of non-productive behaviors and help them change these behaviors and move toward self-sufficiency. Self-Disclosure can be a useful and important tool for building and maintaining a partnership with your participants during the case management process. Self-disclosure can also be difficult to utilize effectively. This chapter will help you examine the potential benefits and pitfalls of self-disclosure, and will also help you consistently identify opportunities to use self-disclosure constructively to build partnerships and offer insights in order to help participants figure out how to manage their own lives. This module provides information the technique of summarizing in case management practice and how this technique can be used to encourage and to focus. This module explains how doing for someone can give the participant the belief that they are not able to accomplish things and how we, as case managers, can show participants that they can do more than what they think. It reminds us that the problems are not ours and shows us how we can teach participants to get from point “A” to point “Z”, a skill that helps all of us accomplish our goals. It is imperative that supervisors provide effective tools and resources to help case management staff achieve outcomes. This module explores the role of the supervisor and how to help staff be most effective.